Can museums improve your health and wellbeing? For several years a team of researchers in UCL Museums have been investigating the role of touch and object handling in health and wellbeing. A three year research project, Heritage in Hospitals, showed that museum object handling had significant benefits on patients’ wellbeing by improving mental and physical functioning, providing a positive experience during the hospital stay, and improving patient-doctor/carer communication. This is a question we have been tackling here at UCL Museums. We’ve been interested in museums’ role in health and wellbeing for a while, so when we were awarded a 3-year research grant from the Arts and Humanities Research Council we set about trying to answering the question: what is the therapeutic value of handling museum objects? We focused this research around hospitals and care homes, as traditionally museums have not worked particularly closely with these organisations. 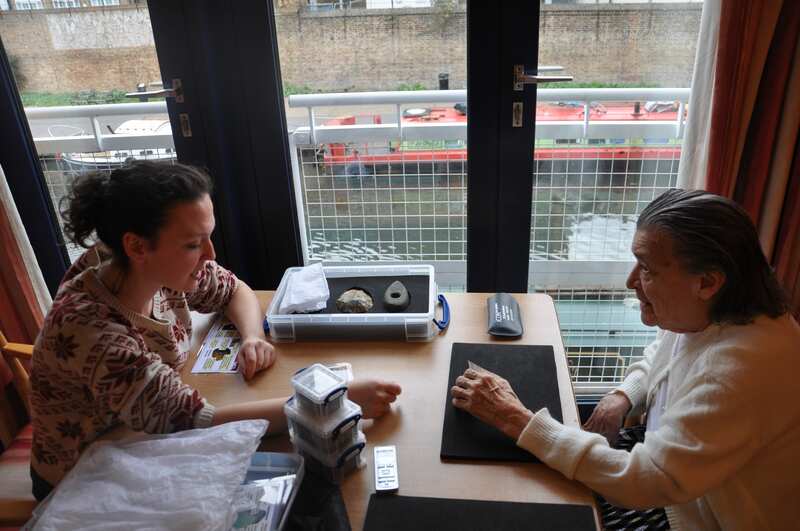 UCL Museums and Public Engagement is looking for a group of volunteers to take part in the Touching Heritage project, supported by the National Lottery through the Heritage Lottery Fund. Can museums make you healthy? For the last three years, an innovative programme of research called ‘Heritage in Hospitals’ has been carried out by UCL Museums & Collections, where museum objects are taken into hospitals and other healthcare settings. Patients are invited to handle and discuss the objects at their bedsides with a researcher, in sessions that typically last around 30 to 40 minutes. Researchers from UCL turn up at the hospital with their boxes of museum objects during afternoon visiting hours and patients are encouraged to select an object and give reasons for why they are attracted to it. Sometimes a participant will select an object on purely visual grounds saying “That one looks interesting” or “I like the colour of this one”. At other times a participant will run their hand over the surface of all of the objects and comment “I like the feel of this one” or “I’ll choose this one because it feels cool”.